TRADEMARK2U is an intellectual property (“IP”) service company with an extensive global presence in providing its clients with quality and comprehensive range of IP management and enforcement services that acts in their best interests. Our international presence could be validated by our localized branch offices which are diversified across several parts of Asia, namely Malaysia, Thailand, Indonesia and China; all aiming to bring top-notch customer orientation towards safeguarding our clients’ intellectual property rights and enhancing their brand name across their designated industries. Our current business models and operations have been greatly shaped by its initial commencement as a Malaysian law firm in 2001, that had built a wide geographical network of associates from 100 countries to cater to our domestic and international IP project works. 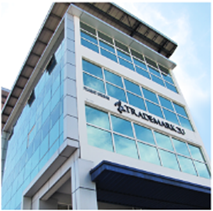 TRADEMARK2U SDN BHD, established in 2004, is the birthchild of a specialized approach to legal services in the field of intellectual property. This idea of specializing in intellectual property services was inspired by our initiative to streamline our provision of law services after several years of law practice; as we intend to evolve our business model into a niche firm which could offer a differentiated and more concentrated clientele experience in resolving intellectual property issues. We strive to align our operations along a genuine interest and understanding of clients’ needs and objectives, with a conviction to meet and exceed their expectations from our services. -	High quality, creative and result-oriented Intellectual Property (IP) service team to individuals and businesses. -	Primary resource and partner in all aspects of clients’ business growth and development throughout. -	Network of innovative intellectual property solutions, excellent customer representation and service. -	Helping clients reach goals of enjoying quality IP services through honest dedication and ethical standards. A dynamic management team consisting of professional consultants with educated law and science backgrounds. Our professionals are trained to assist you in handling all matters concerning your IP rights. Competitive rates for our quality services and re-investing any surplus funds towards upgrading and improving the quality of services to our clients. The Golden Bull Award 2008 20 emerging SMEs in Malaysia. The Malaysia Book of Records for being the first ISO9001 certified Intellectual Property Service Company in Malaysia.